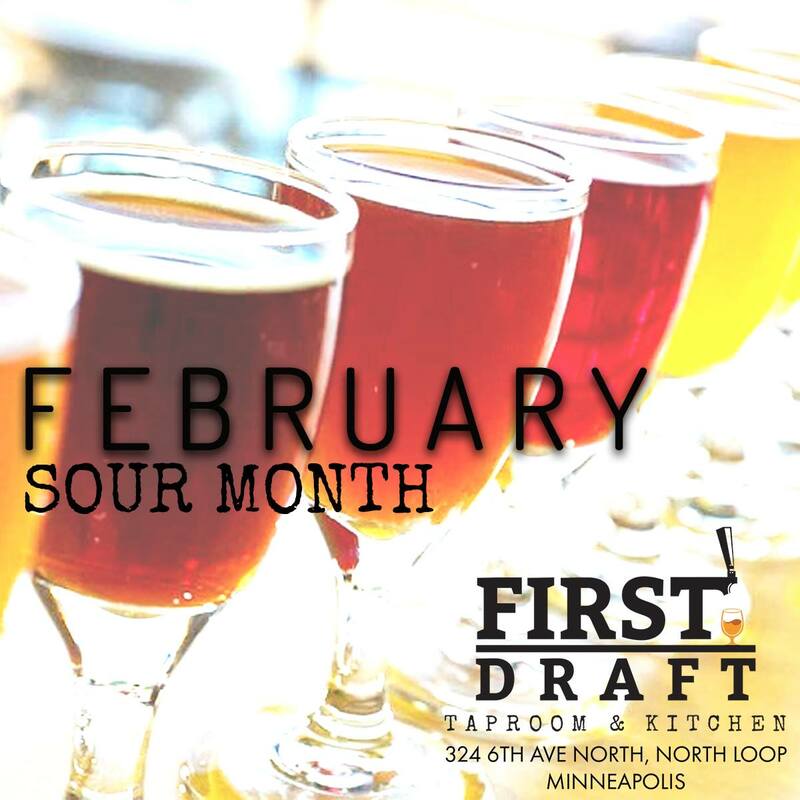 Join us at First Draft Taproom & Kitchen the whole month of February as we have seven sour taps constantly rotating. We have rare and one of a kind beers on deck with something for everyone! First Draft Taproom & Kitchen is a unique tasting experience in the North Loop district in Minneapolis. We host a huge variety of craft beer, wine, cider, and kombucha for you to pour as much or as little as you’d like! Our taps are ever-rotating to bring you a wide selection of craft and small-batch libations from across the country. Find more info at www.firstdraftmn.com.